A book that is certain to spark controversy within the financial media and throughout the halls of government, The Coming Bond Market Collapse sounds a clarion call to investors, business leaders, and policymakers. Author Michael Pento, a noted adherent of the Austrian school of economics theories, compellingly argues that the United States is fast approaching the end stage of the biggest asset bubble in history. He describes how the bursting of that bubble will trigger a massive interest rate shock that will send the U.S. consumer-driven economy and the U.S. government - now pumped up by massive Treasury debt - into bankruptcy, an event that, in turn, will send violent shockwaves throughout the global economy. 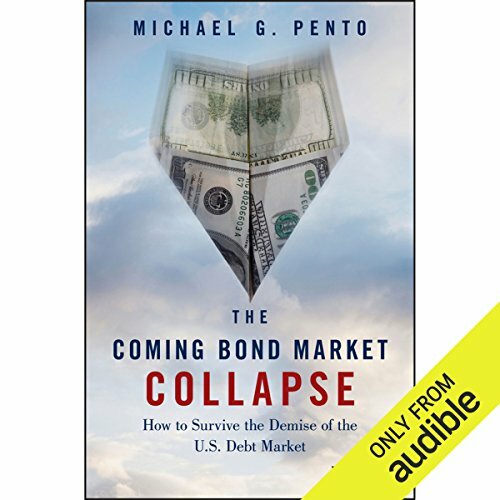 ©2013 Michael G. Pento (P)2013 Audible, Inc.